Varanasi experiences a humid subtropical climate and thus, the best time to visit Varanasi is during winters from October to March. 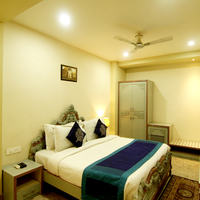 You can enjoy a pleasant stay in Varanasi during this time. Which are the top 5 must visit places in Varanasi? Assi Ghat, Dashashwamedh Ghat, Manikarnika Ghat, Kashi Vishwanath Temple, and Tulsi Manas Temple are the top 5 must-visit places in Varanasi. 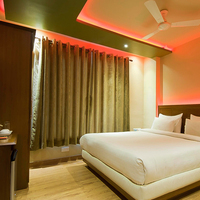 How can I get attractive discounts on hotels in in Varanasi? To avail the best deal, log on to Cleartrip app or website. 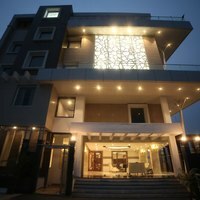 Here you are sure to find a wide range of hotels from budget hotels and boutique hotels to 5-star hotels in Varanasi. While booking hotels in Varanasi you can simply click on deals/offers/coupon codes to avail attractive discounts and benefits. Can unmarried couples stay in hotels in Varanasi? Yes, there are some hotels in Varanasi where unmarried couples are allowed to stay. Also, an original and valid identity proof must be carried during checking-in to avoid any issue. The hotel staff must be informed just in case there are some complications. How can I find hotels near Assi Ghat? With the help of the Cleartrip website, you can easily find hotels near Assi Ghat. Just enter the location in the Where field option on the Hotels Page.The lists of hotels near Assi Ghat will be displayed and you can choose the best hotel that suits your budget and need. How do I book hotels in Varanasi near Mansarover Ghat? Go to the Cleartrip website Hotels Page and search for "hotels near Mansarover Ghat, Varanasi" in the Where location filter. List of hotels near Mansarover Ghat will be displayed and you can choose from the listed ones as per your budget and requirement. Do Varanasi Hotels offer Wi-Fi access? Yes, there are many hotels which offer this facility. They may offer you free Wi-Fi access but there are some which provide this facility on chargeable basis. Therefore, it is best to confirm with the hotel on this matter before confirming the booking. What can I buy from Varanasi? Some of the things that one can buy from Varanasi are Banarasi Silk Saris, Gulabi Minakari, Wooden Toys, Lal Pedha, Shivalinga, Glass Beads, Flutes and many more. Can you tell which are the popular pubs in Varanasi? Some best places to enjoy the nightlife in Varanasi are Prinsep Bar, Windser, Gazal Bar, The Sol Bar, Tarang Bar, Energy Point, Trishna and many more. Can you list the top 5 shopping areas in Varanasi? The top 5 shopping places to visit in Varanasi are Urban Haat, Vishwanath Gali, Vishwanath lane, Thatheri bazaar and chowk, and Godowilia. What are the famous sightseeing spots in Varanasi? The holy City offers many spots to visit such as Manikarnika Ghat, Vishwanath Temple, Dashashwamedh Ghat, Assi Ghat, Harishchandra Ghat, Anandmayee Ghat and many more. What are some must do things in Varanasi? From cultural tours to food tours, heritage walks to excursions, there is something for everyone. Check out the best things to do in Varanasi on Cleartrip website. Suggest a few top party places in Varanasi? Get the most out of your time in Varanasai with the nighlife events organized in some renowned pubs & bars of Varanasi. Some best bars for nightlife in Varanasi are Toxic Bar And Lounge, Energy Point, Trishna and many more. What activities and experiences can I enjoy in Varanasi? One can go for adventurous activities like boating, cycling, walking, etc. Apart from this, you can opt for various tours to explore the city of Varanasi. How to book a hotel for international guests near Varanasi Airport? Can you tell me about some heritage hotels in Varanasi? 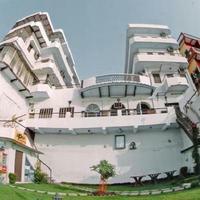 You can check out heritage hotels in Varanasi like Brijrama Palace, A Heritage Hotel where the royal hospitality and personalized services are offered to its guests. Can you name some budget hotels in Varanasi? 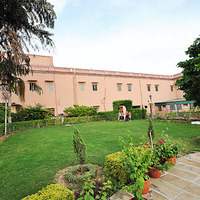 Palace on Steps, Hotel Natraj Varanasi, Hotel Atithi Satkaar, Hotel Ganesha Varanasi, and Hotel R B International are some budget hotels where one can stay in Varanasi. Can you name some of the best hotels in Varanasi? 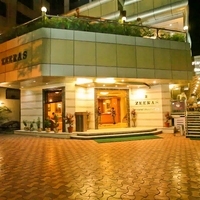 Some of the best hotels in Varanasi are Hotel Buddha Varanasi, Hotel Zeeras, Hotel Varanasi Inn, , Hotel Varuna and Hotel SGT Plaza. 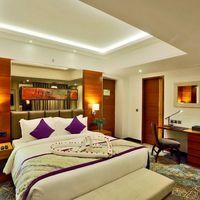 What are the best 5 star hotels at Varanasi? 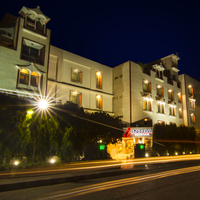 Some of the best five star hotels in Varanasi are Radisson Hotel Varanasi, Hotel Madin, Brij Rama Palace – A Heritage Hotel, Hotel Clarks Varanasi and many more. 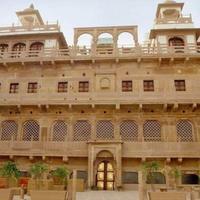 For more options, click the 5-star hotels in Varanasi. 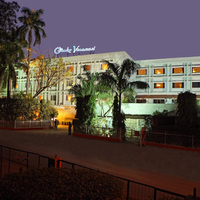 Name some of the budget hotels in Varanasi? 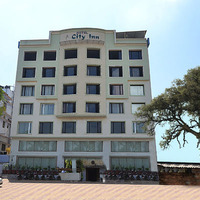 Some of the budget hotels in Varanasi are Hotel Park Inn, Hotel Alka and Hotel City Inn. 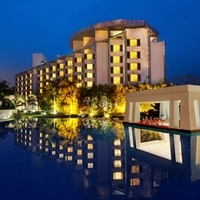 To avail discounts and grab other benefits, book a hotel through Cleartrip. Can you list the best chain properties in Varanasi? Looking for the best chain properties in Varanasi? 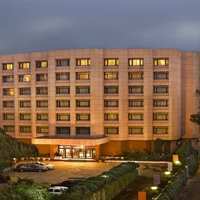 If so, you can choose from Carlson Hotels, Taj Group of Hotels, Treebo Hotels, WelcomHeritage, and Wyndham Hotels. Do Varanasi hotels offer pool facility? Yes, there are many hotels in Varanasi which have pool facility . 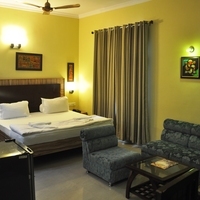 For more options, log on to Cleartrip website and click on hotels with pool facility in Varanasi. Where can I experience best boating in Varanasi? Experience the best boating in Varanasi across the River Ganga. Apart from boating, you can also enjoy other activities such as rickshaw ride. Can you tell me about some homestays in Varanasi? 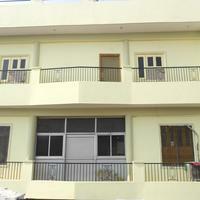 You can go for homestays in Varanasi like Sheetal homestay, Varanasi Homestay, and Hotel Aashray for a comfortable stay. How is the nightlife in Varanasi? When it comes to nightlife in Varanasi, the city has still a long way to go. A few nightclubs is all the city has got in the name of nightlife. Some of them are Prinsep Bar, Windser, Gazal Bar, The Sol Bar, Tarang Bar, etc. Is alcohol facility available at Varanasi Hotels? Varanasi is a religious city. Because of the sacredness attached to it, alcohol is available or served in a few limited places only. 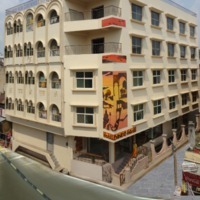 Click the hotels with bar in Varanasi at Cleartrip. Is non vegetarian food available at Varanasi hotels? Varanasi is a sacred city and thus, non-vegetarian dishes are not easily available. 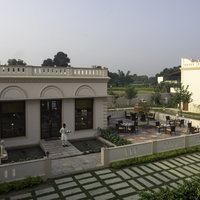 You can ask the hotel staff if they serve non-vegetarian food before confirming the booking. Do Varanasi hotels have parking facility? 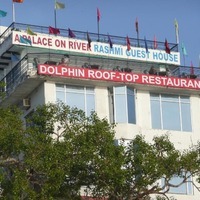 Yes, there are many hotels in Varanasi that offer this facility. It is however; best to consult a hotel representative to confirm the same before going ahead with the booking.